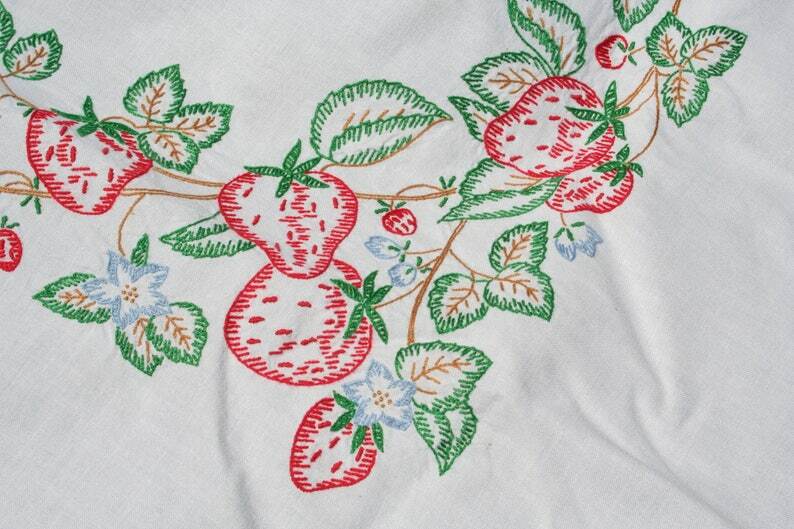 Here is a really lovely vintage embroidered tablecloth with strawberries. It is cotton and the embroidery is a square in the center. The border is a simple red cotton trim. 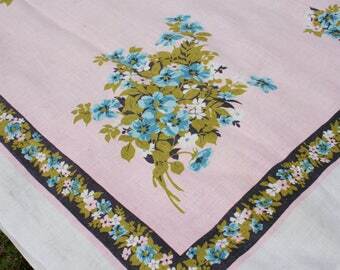 The tablecloth measures 50 by 52 inches. It is in excellent as found condition - bright white with well done embroidery. There are three tiny, light, pin dot spots near one edge. Beyond that, it's really great.